Before we sorted out Little M’s sleep routine, we took a lot of effort trying to get her to nap. I spent hours rocking her to sleep, took her for hour-long walks around our village, and we went for countless drives in the car. We thought that if we got her daytime naps sorted, then the nights would follow. How wrong we were! One of the good things about trying to get her to nap in the car was that we got to discover places in our local area that we never knew existed. I now have a shortlist of my favourite villages for when we start hunting for our forever home. I’ve also discovered where different roads actually lead, and how they link up. Am I the only one who’s pleased by things like this?! Sometimes I like to just drive, turning whenever I feel like it, then try to find my way back home (I’ve only had to resort to using Google maps to help once!). We’re very lucky living in Norwich as there are lots of lovely places to drive around, and to. 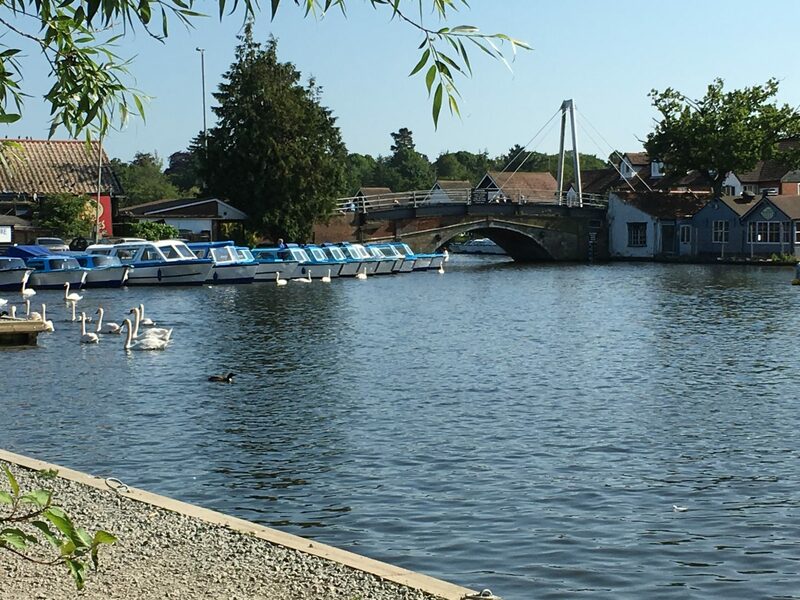 We’re big fans of the Norfolk Broads, especially Wroxham, (pictured below) and also like to go for walks at Blickling Hall, a National Trust property less than an hour from Norwich. Added to that, we’re very lucky to have some gorgeous beaches within an hour’s drive. While we’re driving around, I like to have peace of mind that we’re safe and sound; we deliberately buy new cars as we like the service and breakdown plan that comes with them, and the reassurance that they shouldn’t break down, but if they do, we’re covered. I also like a bit of a bargain, though, so I shop around for my car insurance, using comparison websites like Chill Insurance. It’s great knowing that everything’s taken care of. Ah lovely part of the UK! Very jealous of you for having beaches so close to you. I used to always buy new cars for the very same reason, I love the assurance of knowing service and warranty is all included.